In order for you to earn good cash for cars, you must try to keep your car in the best possible shape. Your chances of getting better cash deals increase dramatically when it comes to the condition of your car. It is always ideal to keep your car in good shape. Whether you drive it yourself or sell it. In any case, a good car pays off vastly in the long run. we buy car van truck and 4×4 throughout Melbourne region and free towing service. It only makes sense to earn decent cash for cars when you have spent a fortune in the purchase and maintenance of it. We completely understand the value of a good automobile. And so offer you our best possible quote. The popular brands that we regularly deal in are Holden, Honda, Nissan, BMW, Jaguar, Toyota, Mazda, KIA, Suzuki, Mercedes-Benz, Volvo, Audi etc. You can sell and earn cash for cars for either of the reason. Getting an estimation on your car that you’re thinking to sell is very simple. You can pick either of the following options you find convenient. We are known to take all your junk, used, old, wrecked or scrap cars off your hands in exchange for remarkable cash. 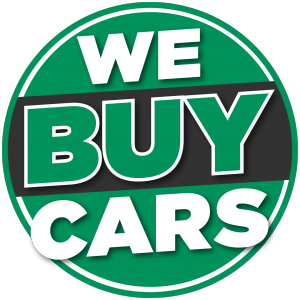 We deal in almost every brand and offer to buy literally every car model there is. We pay top cash for your cars. Our years-long experience in the car dismantling and wrecking business makes us fairly reliable when it comes to our quote. The team of our professional valuation experts prepares the best possible cash offer. We keep all the factors in consideration while evaluating your car. If your car is rather good and in great shape you may get a massive $14,999 in cash.Get free quotes for unwanted cars. We make sure to pay you the cash we owe you in exchange for your old, used, unwanted vehicles within 24 hours. As soon as our team arrives at your place fully equipped for towing, we pay you the cash right on the spot. It is always ideal to receive the money straightaway. We ensure a hassle-free dealership with no delay with our cash payments. There is always an option to have the money transferred in your account. Cash for scrap cars in ban in Victoria effective may 30th 2018. May 30th 2018 Victoria government has announce BAN on cash payment for scrap metal and scrap cars. We make sure to transfer the cash before your car even reaches our yard. So whether you choose a bank transfer or instant cash payment, neither will disappoint you. We guarantee fine services and have access to all near and far localities. All you need to do is provide us with your contact details. And your location to have our team move your car to our yard. This does not take more than a day. And we make sure to bring the cash along and take away your damaged cars. After bringing the car to our yard, the car dismantlers take care of the rest. If the car is good enough, we put it up for sale again. If you have sold your car for its parts, we run quality checks on each part. And stock it up in our yard. And if your car is old and junk, we scrap it without any delay. There is a huge collection of scrap car parts in our yard. We can both recycle it and use to refurbish other cars. If you have been taking your car to the auto mechanics for maintenance regularly. Or if you’re keeping up with the repairs and getting those done timely, there’s good news. The cash you get for your well-maintained car will certainly be better than the one that’s not in good shape. The cash offer you receive on your car will certainly be affected depending on how much your car has run. learn about selling your vehicle from vic roads. If you have customized your car in a different color of your choice. Or changed its originality in any way, there may be a slight difference in the cash offer for your car. As long as you keep the car in its original form, it will promise to pay out more when you finally sell it. If it is pretty obvious that each car brand has a different value. So luxury cars will definitely earn you cash equivalent of its worth. There is absolutely no need for you worry about whether or not you will get the cash you deserve. We are very well-versed when it comes to the car makes. And intend to pay you their exact value.